I was out fishing the Gulf of Mexico the other day with clients Melody and Rory. 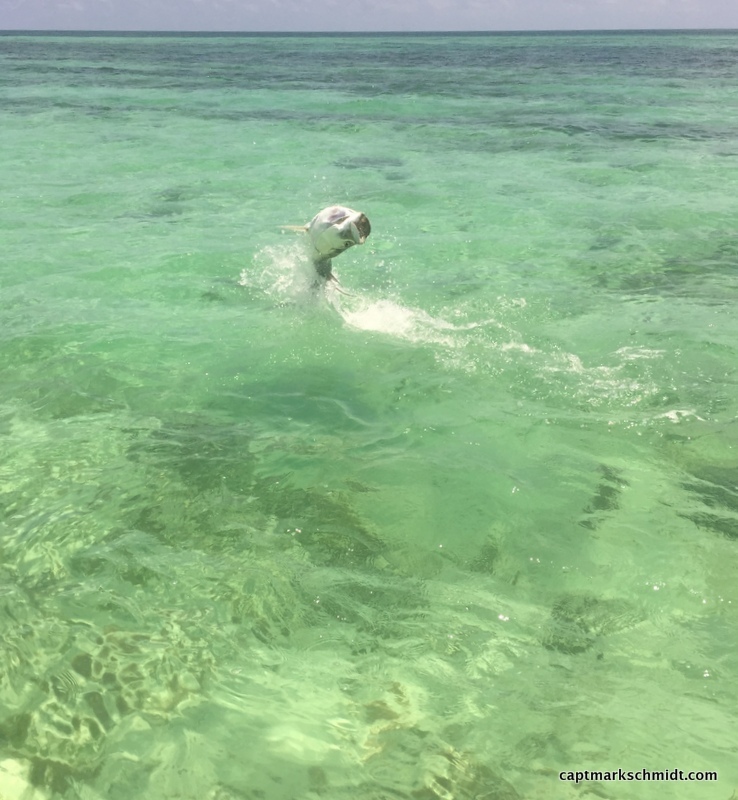 While making a move from one fishing spot to another we ran across a big concentration of nurse sharks just milling around the surface with seemingly no place to go. 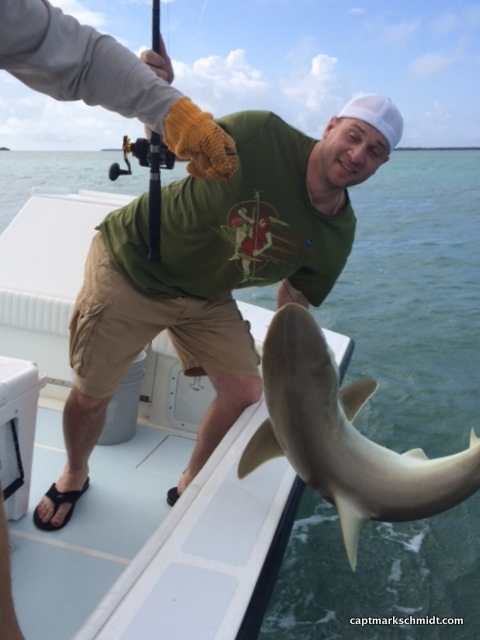 There were over 50 nurse sharks with a few bull and blacktip sharks mixed in. I’ve never seen such a large school of nurse sharks in one spot. Also following those sharks were jack crevalle, little tunny and mackerel. 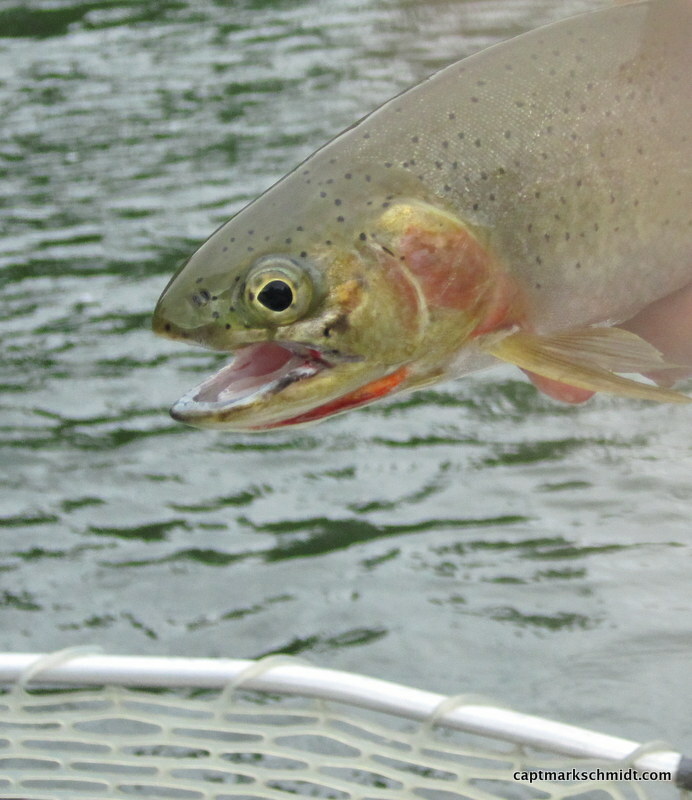 The action on these species was fast and furious as we hooked fish on top water plugs, jigs and flys. We rounded out the day catching lane snapper and red grouper. The grouper season is closed so they were released to be caught another day. Pictured below are some of the mass of nurse sharks. Melody with a little tunny and me holding the biggest jack that weighed 28lbs and was hooked by Melody. Over a month ago we thought that cooler weather would never arrive. How things have changed as we get slammed by back to back to back cold fronts. Mind you, these are mild fronts compared to up north with our temperatures barely hitting the low 60’s. We need this cooler weather to get the migratory species moving in such as sailfish, kingfish and cobia. What has made this fishing a challenge so far is the wind hasn’t dropped out much between these fronts making it hard to find clean water and somewhat of a lee to fish in. But things are constantly changing and I know the weather will run it’s course and we will continue to catch fish. Right now we have a lot of variety. Offshore-kingfish, sailfish, blackfin tuna, bonito, cobia, cero mackerel, grouper and snapper. 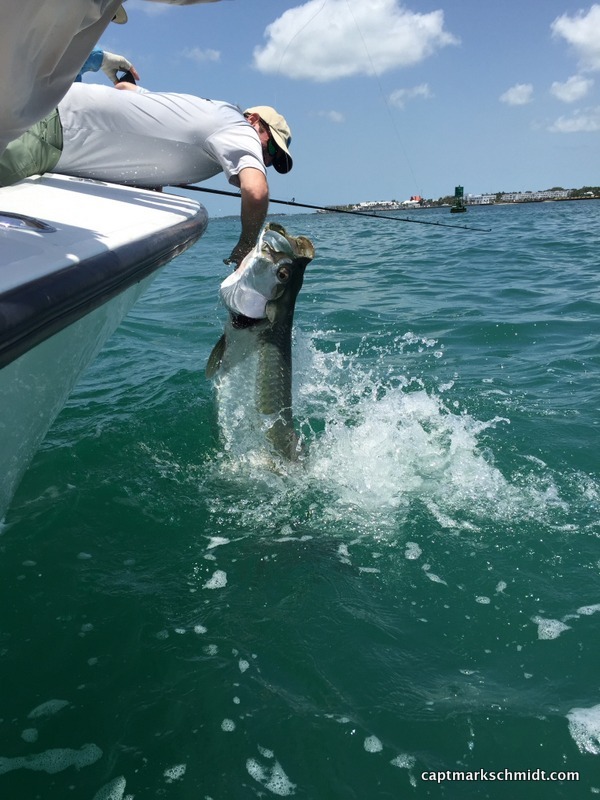 Inshore: barracuda, trout, pompano, jacks, ladyfish and snapper. 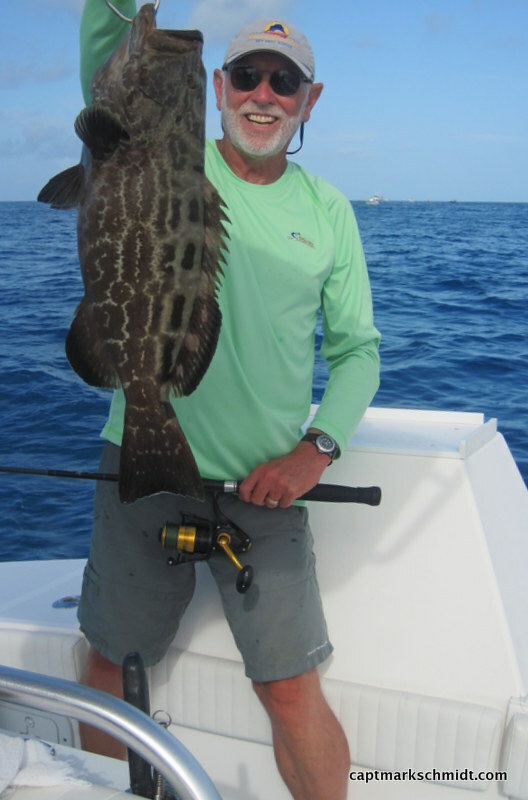 Pictured below is Tim and Kris from Pennsylvania with a nice red grouper. Next Rory, who had a short drive down from Miami with a kingfish. Yes, living in the Lower Keys and Key West is pretty close to being in paradise. BUT everyone needs to get away from where they live for a little while. 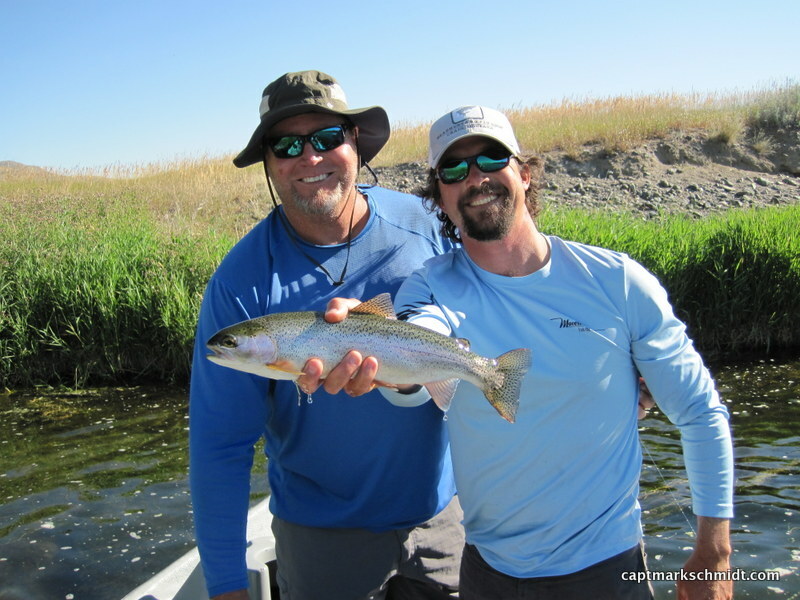 This summer I went with buddies Bobito, Lars, Dan and my brother Matt to Montana to fish for trout and enjoy getting away from the heat and humidity of the Keys. What else does a fishing guide do but go fishing on his vacation! 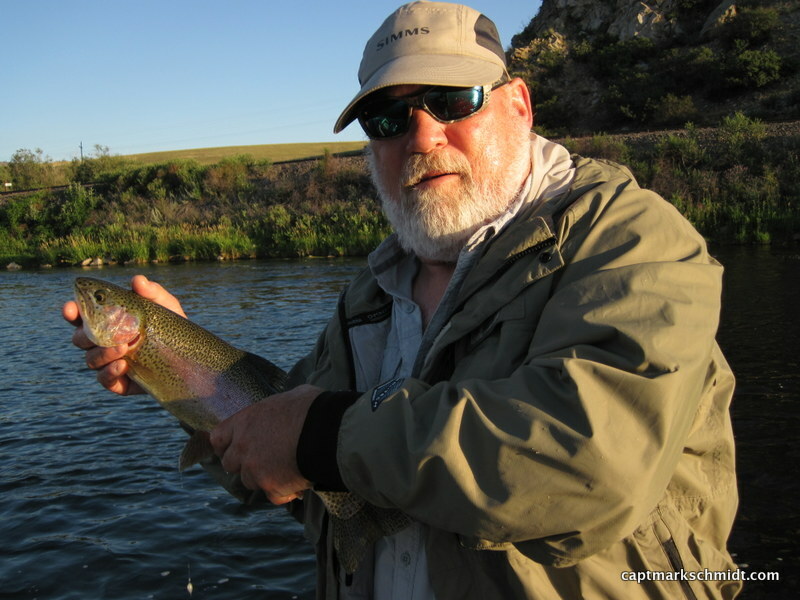 First we explored Yellowstone National Park then fished the Madison river. From West Yellowstone we drove up to Craig, Mt and fished the Missouri and Blackfoot rivers. We caught plenty of fish and a great time was had by all. Pictured below are just a sample of the trout we caught and taking a lunch break on the Missouri. 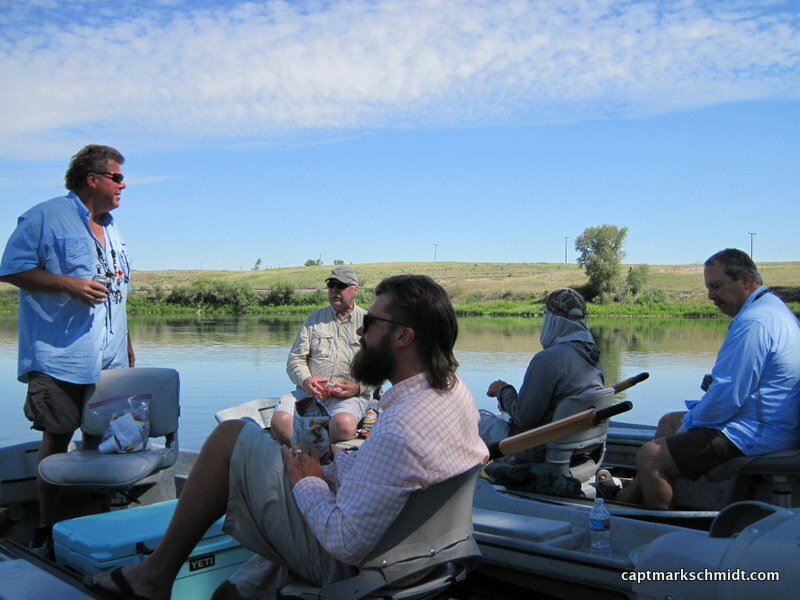 Guides Ben Hardy, Jared Edens and Peter Skidmore out of Craig were awesome to fish with! There is less wind, it’s getting hotter and more humid. Summer must be here. 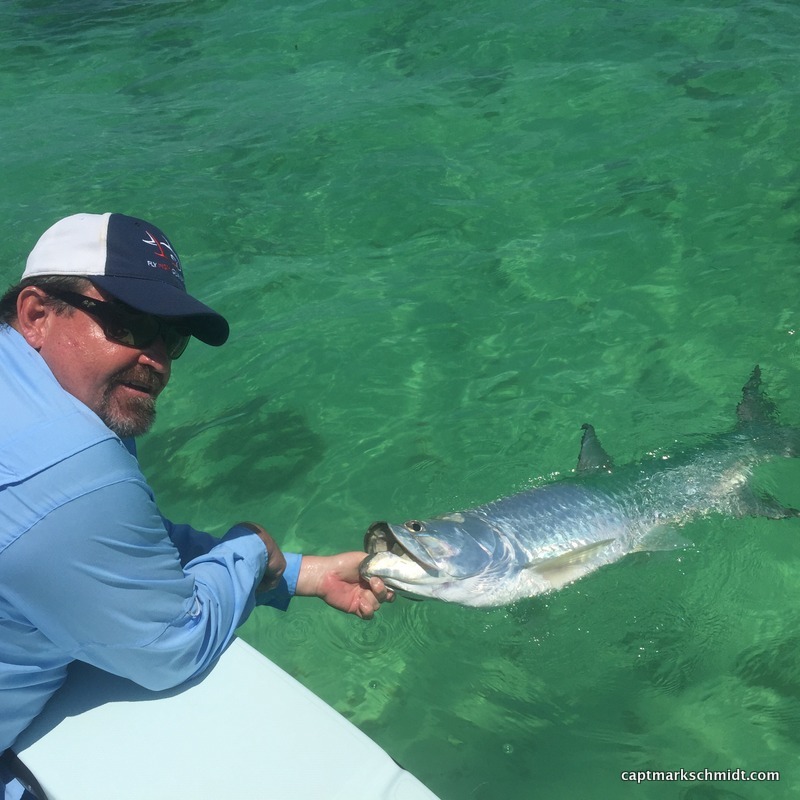 The near constant wind this spring contributed to a tarpon season where I saw far less fish than last year, especially in June. I hope this is not a continuing trend. 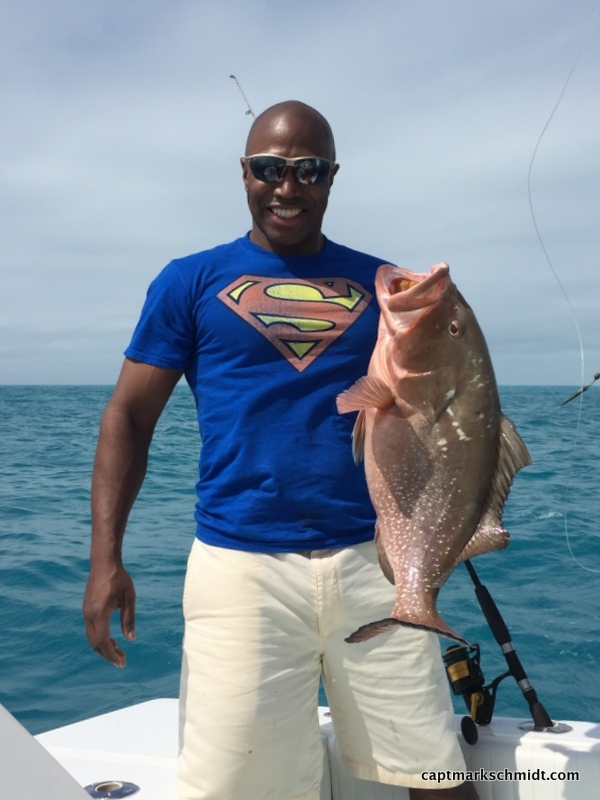 So far the early summer grouper and snapper fishing has been very good and the mangrove snapper spawn on the Atlantic side is getting started. 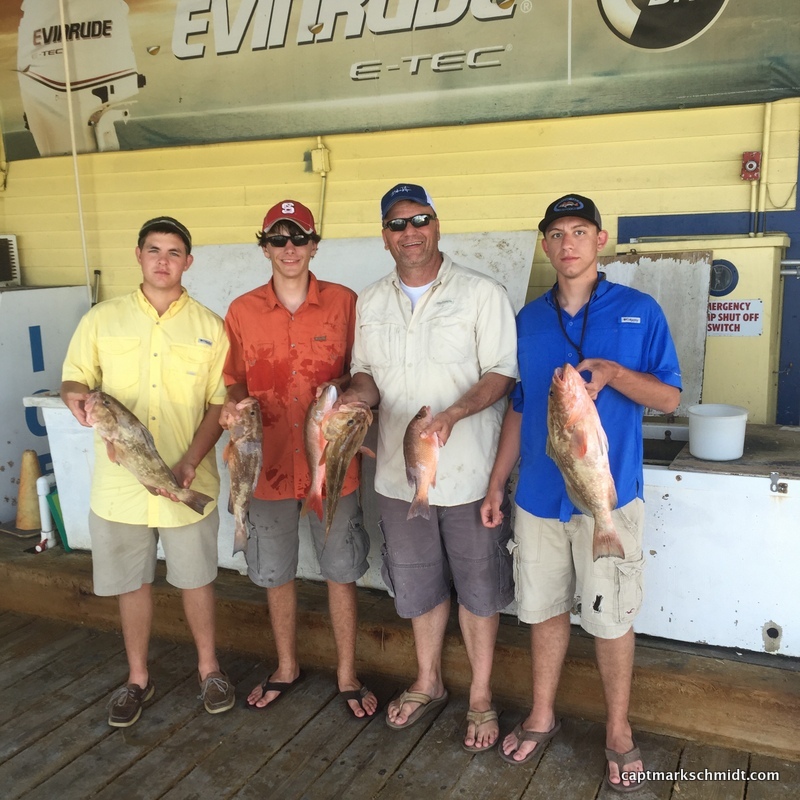 Pictured below is Travis Baker and his sons after a great day of fishing. Travis is from Cary, NC and won the grand prize at the Saltwater Sportsman National Seminar Series event when it came to Cary. 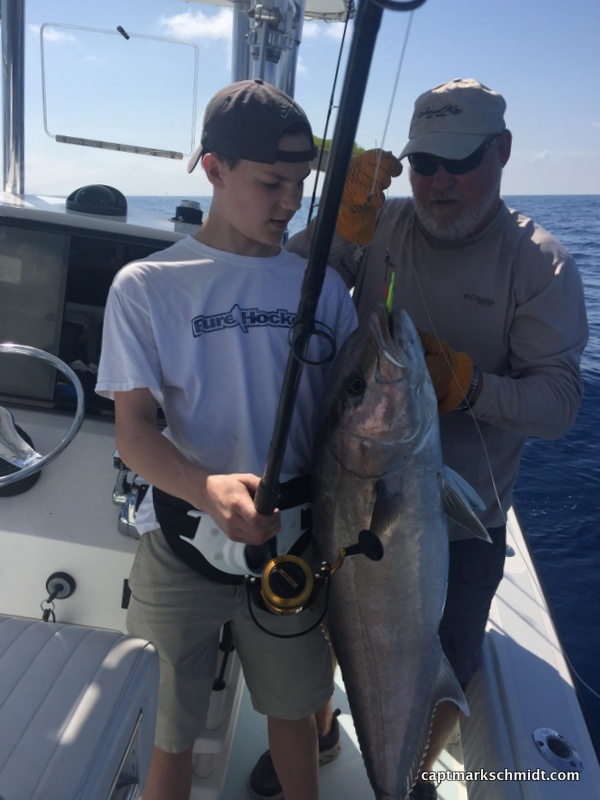 Lodging in Key West and a charter with me were part of the prize. 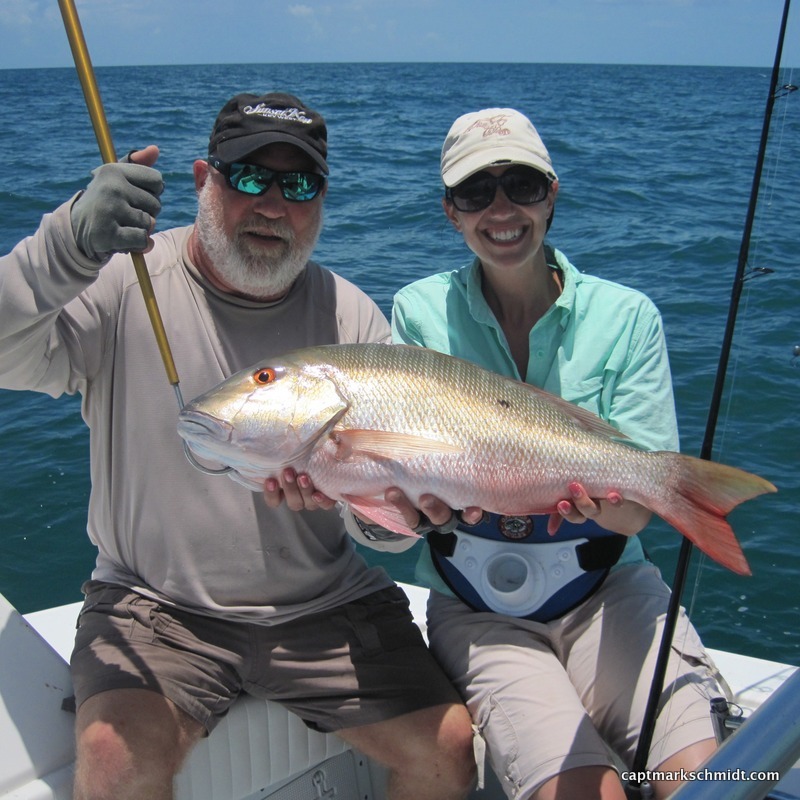 Also pictured is Nicole with a beautiful mutton snapper she caught with me on her first fishing trip ever. 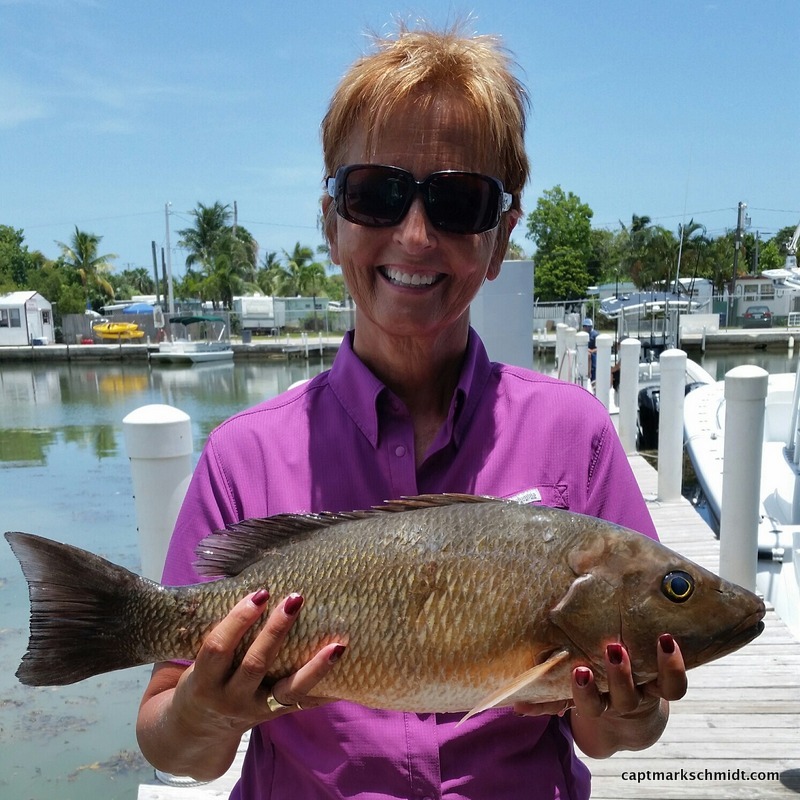 The mutton snapper was one of many fish Nicole caught that day with her friends from Idaho Loran and his wife Carmen. 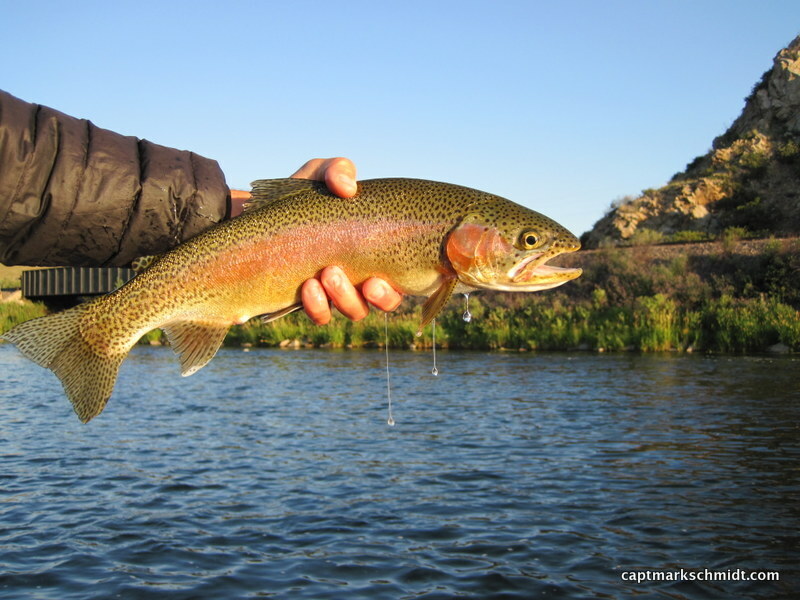 We have had a great week of weather and the fishing has been good as well. I’ve been fishing mostly for tarpon but ran my Conch 27 as a camera boat for George Poveromo the last few days. 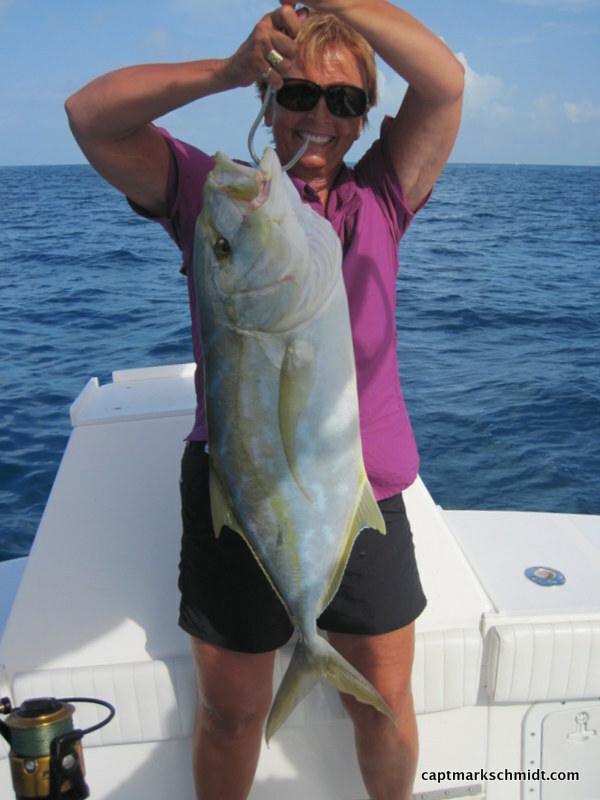 The offshore fishing has slowed down but there are yellowtail, mutton and mangrove snapper on the reef. 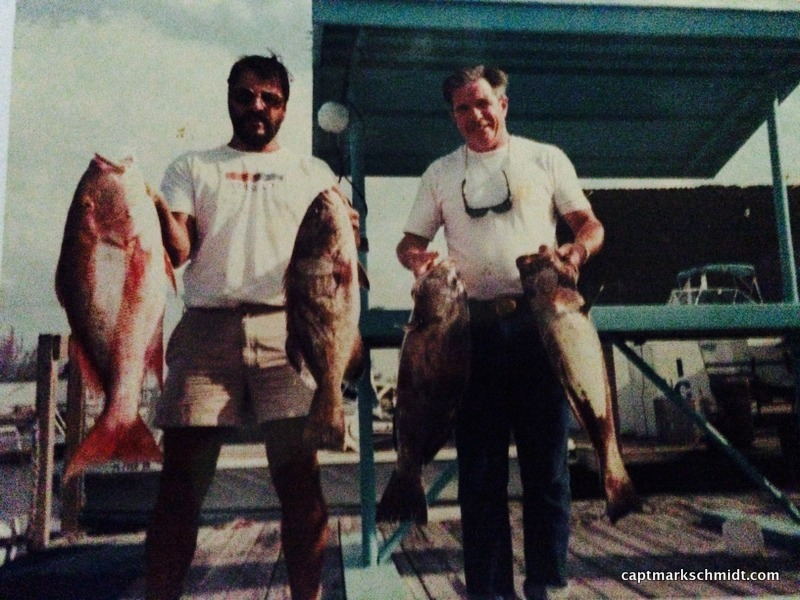 The Gulf of Mexico rock piles have good numbers of snapper and grouper. 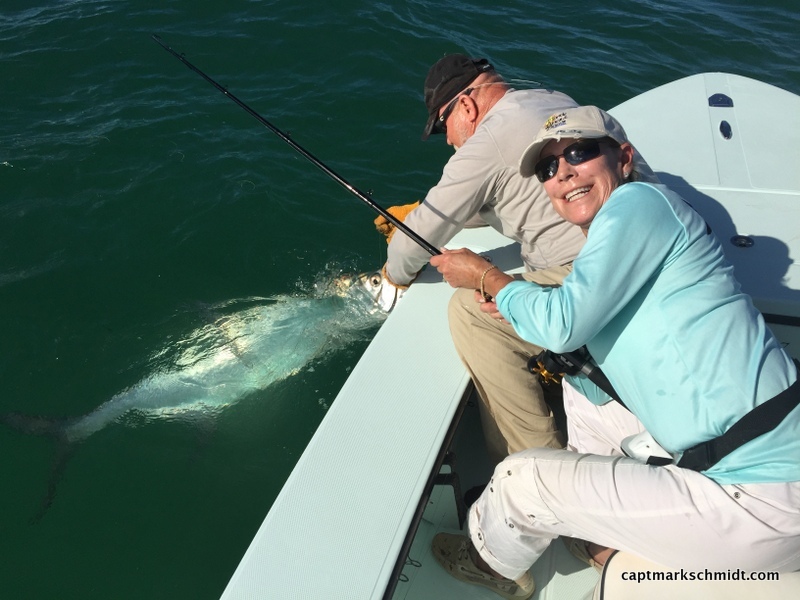 Pictured below are Kris and Tom with tarpon we caught in the last few days. Tom got his on a fly rod. It had to happen. After two weeks of perfect conditions a cold front came barreling in last night and though a welcome change from the heat and humidity it sure messes up the fishing. Things should get better again by Monday or Tuesday so we can get back to catching everything from tarpon to tuna. Below is 14 yr old Collin with a nice AJ that he caught with me before the front hit. Collin and his family were down from the Boston area where it was 17 degrees that morning. Fishing in Paradise! Matt and Rusty came down from Chicago to escape the cold. 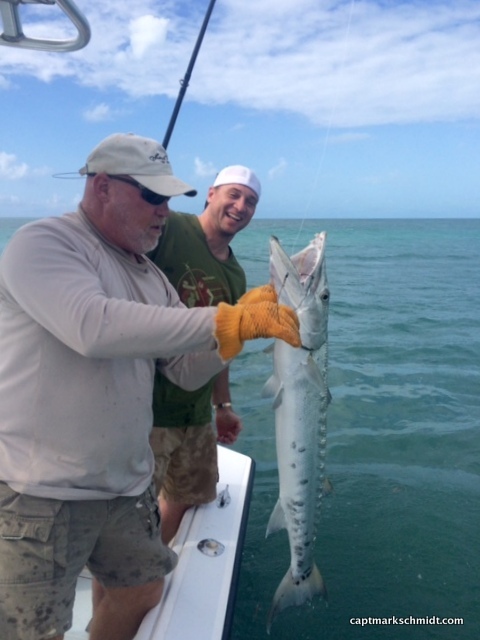 The day was windy with scattered rain but we managed to catch barracuda and sharks. Rusty is pictured with two of his catches. 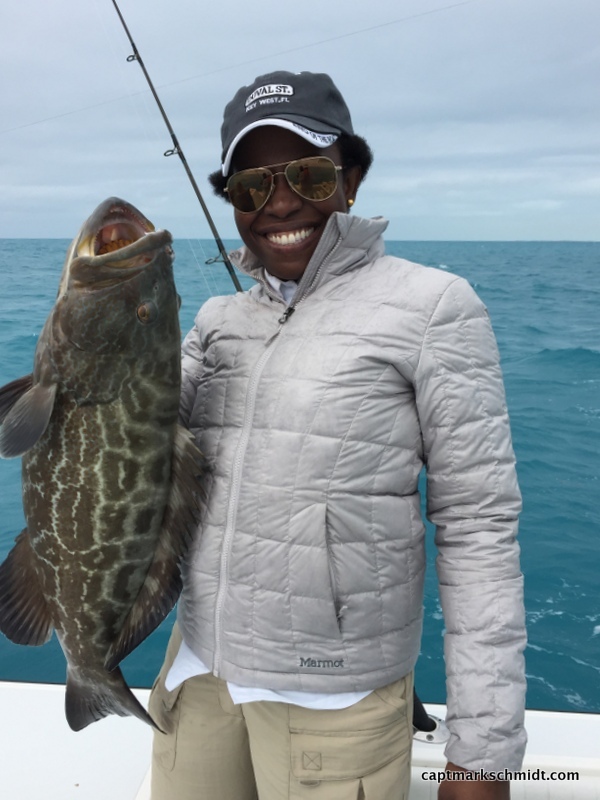 Andrea and Luis took a break from the cold of New York to catch and release grouper, snapper and mackerel while fishing in Key West’s 80 degree weather.